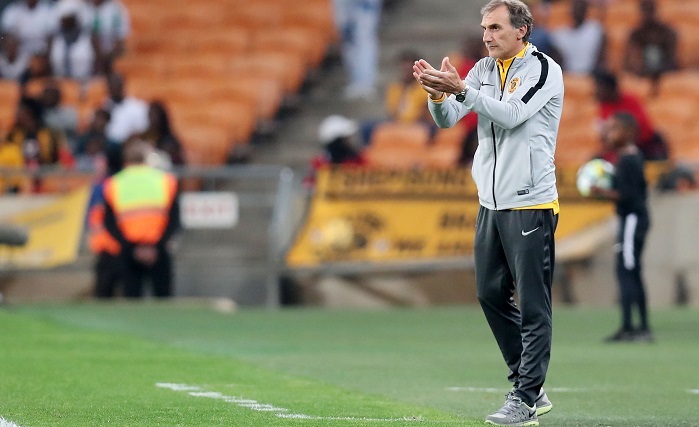 Kaizer Chiefs coach Giovanni Solinas says he is pleased with his side’s performance against Bloemfontein Celtic to clinch their third consecutive Macufe Cup title. The Glamour Boys ran out 2-0 winners over Celtic after Lebogang Manyama and Dumisani Zuma netted a goal in each half to defend their title successfully. Solinas says he was happy to see his side create numerous scoring opportunities throughout the match, but he will be hoping Amakhosi can continue their success in future. ‘I’m happy for our supporters. I’m also happy for a good performance from my team today,’ Solinas told SuperSport TV after the game. ‘It’s very important that we created the chances to score. Today, we created a lot of chances. Kaizer Chiefs will next take on Black Leopards when the two sides square off in the first round of the Telkom Knockout Cup on 20 October with kick-off set for 3:30pm.